Thinking of starting something new? Then, say yes to the new hairstyles. There's certainly varieties of choices; Chop it off, add extensions, dye to grey, get bangs or go blonder but one should not hesitate to flaunt a great hairstyle. Perhaps you are looking for long and sleek or short and swag hair trend for 2019. Then you shall be inspired by these Hollywood celebrities for sure. Lady Gaga is styling herself with her platinum hairstyle with wonderful grace. Either you go short or long hair cut on platinum hairstyle, it will give you sassy and dashing style on your look. Meanwhile, with extra maintenance, platinum will give extra volume to your hair. Priyanka Chopra can be one of the inspiring women for hairstyles. If you love the beachy waves spraying then short hair look can be best for you. You can add on some dry shampoo, running your hands through your hair, before walking out the door. Leaving a long blonde ombre hair straight, a half top knot looks stunning in Jennifer Lopez. You can style it either curl or straight or just leave it to the natural texture. The half pulled back look could be the perfect way to hide greasy roots when you skip hair wash. If you're thinking of having drastic hair chop, then this is superb for you. Claire Foy is carrying great elegance with this hairstyle called grown out-bowl cut. It swings you to a little bit of 60s mod with perfect swag in the modern edge. This hairstyle is mostly followed among Hollywood celebs. Bangs provide a very feminine and gentle look on anyone. 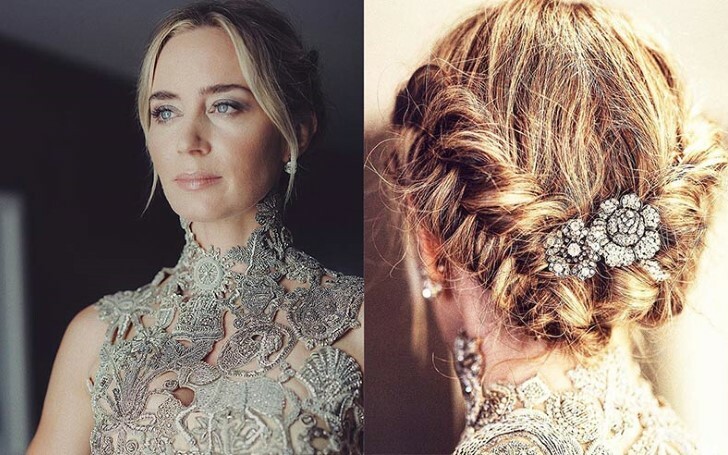 It can be the revolutionary hairstyle in 2019 as it is observed in Pinterest with a growing number of people liking it. Emma Stone and Alexa Chung, both of them look promising on the wavy bob with longer side bangs. This hairstyle frames the face very softly and underlines your best features. Moreover, it gives you sporty gaze and feels fresh and light for summer and warm in winter. You don't need to wait till summer for a new haircut as you can groom yourself with best hairstyles for 2019. A hairstyle is one of the major factors that keep you elegant with an alluring aura. Give yourself a big surprise with these celebrities looks hairstyle.